Want to be in the know about our Personalized Learning Summit 2019? Join our email list and stay informed! There are more ways to tell a story than there are to bake a cake. After reading a recent article which downplayed the success of personalized learning at Fulton County Schools, we felt compelled to share another perspective. Fulton leaders and teachers have incorporated research-based personalized learning strategies to improve student outcomes, and the proof is in the pudding. The district team is monitoring early indicators, including student engagement and changes in teacher practice. For the earliest adopters of PL in the district, state benchmark test scores are up. Education Elements is proud of the hard work and dedication of the Fulton County Schools team to meet the needs of every student. 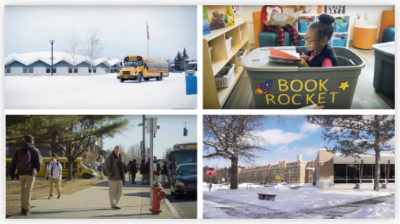 The leadership team at Bulkeley High School in Hartford Public Schools has been working alongside Education Elements to redesign the 9th grade experience for the graduating class of 2022. The data backs up their why: 1) incoming freshmen show literacy and mathematical levels years below grade level; 2) the bulk of disciplinary referrals generate from the 9th grade causing chronic absences. During the month of May, the leadership, teachers, and support staff for the incoming 9th graders spent time using the design process of Odyssey Mapping to identify what instructional moves they want to change in the future. They worked with the driving question, “How might we rethink the instructional moves for student-centered learning environments?” Through reflection, discussion, and exploration, the ninth grade team was able to walk away with initial plans for their instructional time. Are you a school or district leader who wants to personalize learning for students, but feel unable to get the wheels in motion? Maybe you can relate to some of these realities: “Our staff is invested, but we don’t have a plan,” or “We want to personalize for our students but don’t know where to start,” or “We want to move toward deeper personalization but need low cost guidance”. 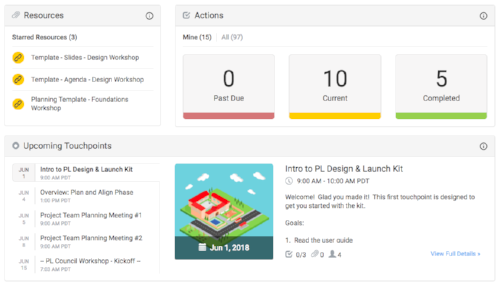 This is why the team at Education Elements created the Personalized Learning Design and Launch Kit. 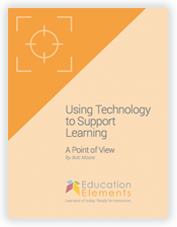 The “kit” is a plan and set of resources that help district leaders, school leaders, and teachers learn about, design, implement, and improve personalized learning. It helps teams to build alignment around the purpose for PL in your school or district. It facilitates learning and concrete action through a collection of workshops and resources – built with our experience in over 100 districts and 600 schools. 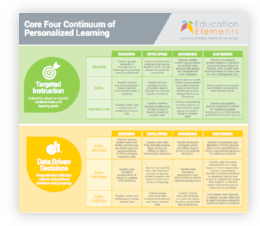 Visit the Personalized Learning Design and Launch Kit to learn more or send a message to justin@edelements.com. Is Marketing Your School or District a Thing? It is important for schools and districts to remember that in our ever-evolving world, they now need to compete for students, administrative and teaching talents, and community perception. Like other competitive organizations, schools need to set themselves apart from other schools in the country. There are even more ways to tell a story than there are to bake a cake. A recent article in Edsurge told a story about million dollar consultants (us) and some of the districts we support in their efforts to transform teaching and learning through personalization (including Charleston County SC and Fulton County GA). It was one version of the story, with one set of facts and data, and we’d like to take this opportunity to re-tell that story in a way we feel more accurately captures the work, and accomplishments, of those districts, as well as others across the country.